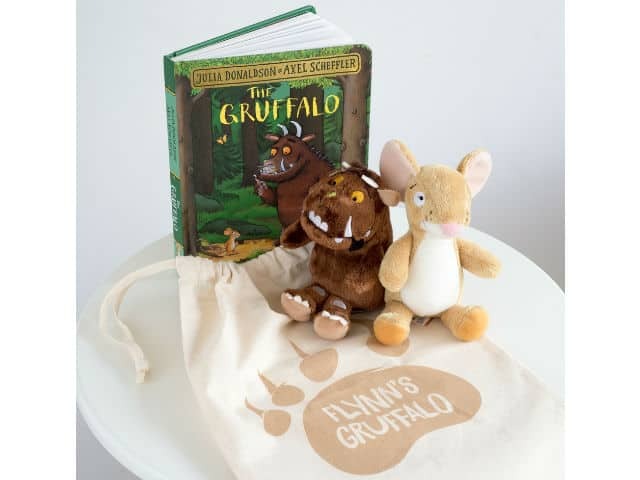 This Gruffalo child’s gift set would make a fantastic gift. Choose between an adorably soft Gruffalo or Mouse toy, which combine with the Gruffalo board book. To add that something special to this gift it comes in a lovely personalised cotton bag. Choose which toy you want from the drop down menu and then email me at info@urbancuckoo.co.uk to provide me with the name for the bag.